Episode 66 features Jennifer, who hails from Kingston, Ontario, Canada. Jennifer is in Kingston while attending school pursuing her graduate degree in engineering physics. Her long-term goal is to work in research and development to be a part of the next great technology advances. Jennifer and I first “met” via one of the stuttering email groups. She took the plunge to start sharing on the covert-S group. It turns out Jennifer also attended her first National Stuttering Association (NSA) conference in Ft. Worth, Texas this past summer. We met very, very briefly and shook hands! Jennifer and I discuss her career path and our shared interest in technology, particularly women in science, before we really get into stuttering! 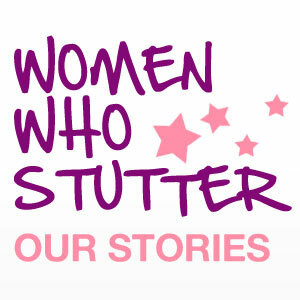 We talk about how Jennifer first made the decision to make some changes in her life, and how important it was for her to hear other people who stutter, when she first found stuttering podcasts. She also mentions how cool it was to meet Elaine and Patrice, who she had listened to on earlier podcasts. We also discuss disclosure, advertising, moments of regret and her “border crossing” story! Credit for the podcast safe music used in this episode goes to ccMixter. Feel free to leave comments for Jennifer or just let her know what a great job she did. Feedback is a gift. 1 Response to "Safe But Scary – Episode 66"
Great to hear Jennifer on your show. I “met” her long after the conference on a Google Plus video chat.